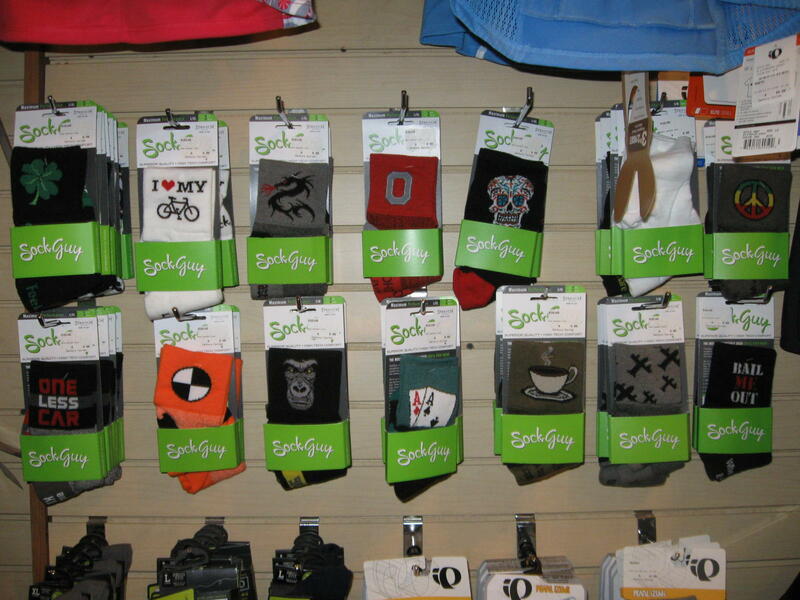 After being raided for TOSRV, GOBA, and other events, our sock selection in Peninsula had become, to be honest, shall we say, lame. That is, until last week, when a crack team of commandos executed a top-secret raid on Rocky River's socks department. 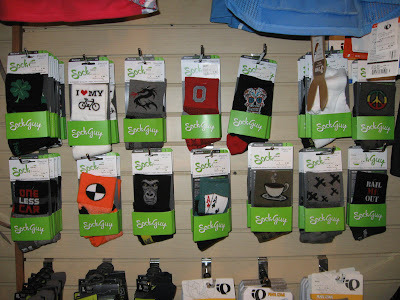 So, stop in now to see a full selection of socks in fun and practical designs. As you can see, we have every color that you could possibly want, except maybe blue. Or yellow. Puts a whole new twist on sorting the sock drawer!